The College of Architecture, Art and Design (CAAD) at American University of Sharjah (AUS) has teamed up with Sharjah Museums Authority to create a remarkable exhibition of student work in celebration of the UAE’s fascinating history as a center for the pearling industry. The multimedia exhibition, entitled Mantle, will be open to the public at Bayt Al Naboodah in the Heart of Sharjah from Saturday April 13 until Thursday, April 18, and includes the work of 14 students of multimedia design at AUS. Led by assistant professors Rebecca Beamer and Frederic Gmeiner, the students created the exhibition as part of their Bachelor of Science in Multimedia Design coursework at CAAD. The works incorporate sound-based installations, a soundscape, podcasting series, photographs and a complementary website. “Mantle came together after a series of discussions with Sharjah Museums Authority, who offered Bayt Al Naboodah as the ideal venue to showcase our students’ work,” said Beamer. Manal Ataya, Director-General of Sharjah Museums Authority (SMA), said that Maknoon exhibition is an opportunity to enhance the relationship between SMA and American University of Sharjah and to further promote the museums as spaces for informal teaching, learning and research. Ataya praised the successful collaboration between SMA and AUS and said that the exhibition will introduce students and museums' visitors to the UAE’s traditions, customs and to its cultural development across the years. Dr. Varkki Pallathucheril, Dean of CAAD, said the exhibition at Bayt Al Naboodah demonstrates the university’s ongoing commitment to provide students with opportunities for professional collaboration and exposure, both locally and abroad, offering rich personal and professional experiences throughout their time at AUS. “This collaboration with Sharjah Museums Authority has provided our students with the invaluable experience of preparing high-quality work worthy of display at one of the Sharjah’s most significant heritage venues,” said Dr. Pallathucheril. “The students worked as a team to produce a significant body of work in a short period of time, rising to the challenge to produce content through personal narrative recordings, detailed research of other topics, and in a variety of formats to develop a cohesive final product and exhibition. We hope visitors will take this opportunity to immerse themselves in this unique exhibition experience created by CAAD students,” added Dr. Pallathucheril. For more information about the College of Architecture, Art and Design, visit www.aus.edu/caad. 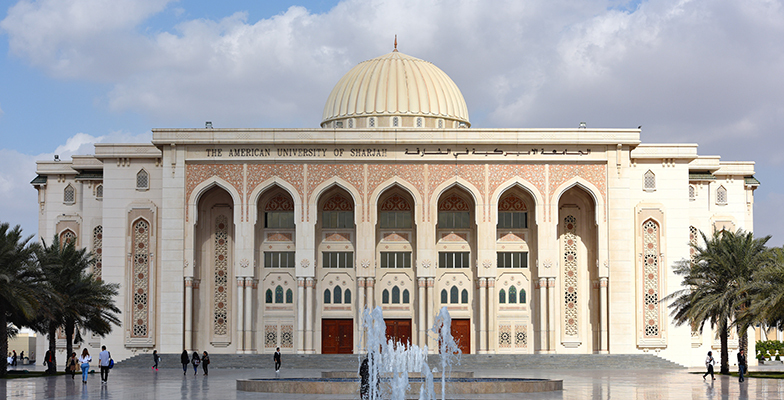 To learn more about Sharjah Museum Authority venues, events and programs, visit www.sharjahmuseums.ae.